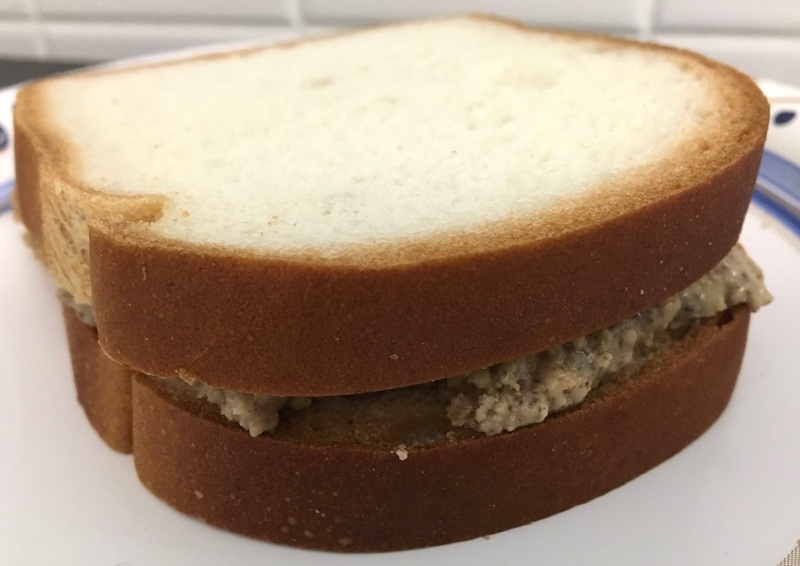 As a gluten-free eater, I am always in search of better sandwich breads, because gluten-free breads in general tend to have a lot to improve on. Whether it's a tiny size, crumbly consistency, or holes that take up a good part of the slice, gluten-free bread has gotten a bad rap for being subpar in every aspect to gluten-full breads. When La Brea Bakery reached out to me with an offer to try their white and multigrain sandwich breads, I was excited to give them a try. I admit that I had no idea that La Brea Bakery was in the gluten-free arena, but have seen their gluten bread at Costco which has earned rave reviews from my gluten-eating family. What stood out to me the moment I unpacked the samples La Brea Bakery sent me was how much the bread resembled any loaf of bread you might find in the grocery store. It was soft, it was full-sized, and had a delicious bready aroma. 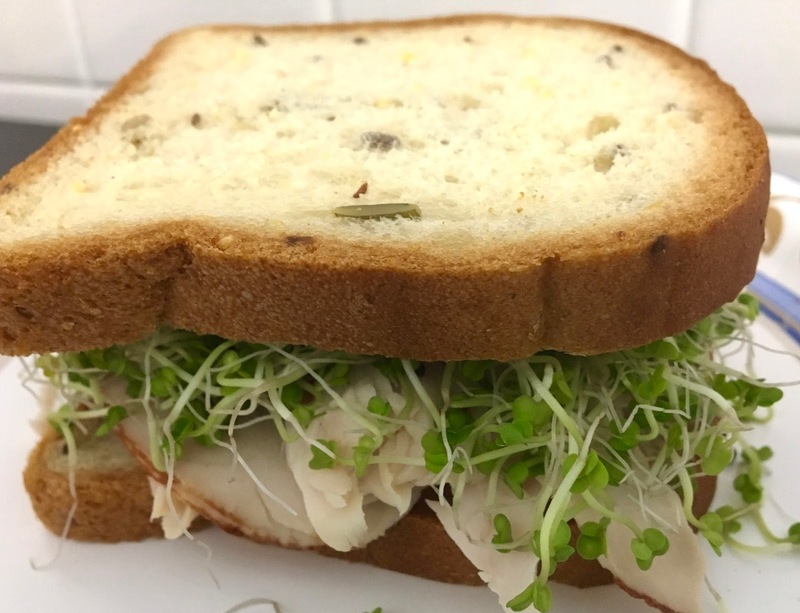 Could this bread mark a large leap forward for what gluten-free sandwich bread can and should be? I was ready to put it to the test. La Brea Bakery of course is not a dedicated gluten-free company, but they make their bread using dedicated equipment to prevent cross contamination. Both loaves have been certified gluten-free by NSF International (learn about that certification here). 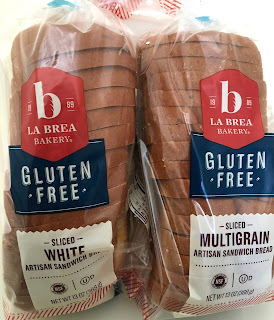 Presently the only two gluten-free options from La Brea Bakery are their white and multigrain artisan sandwich breads. 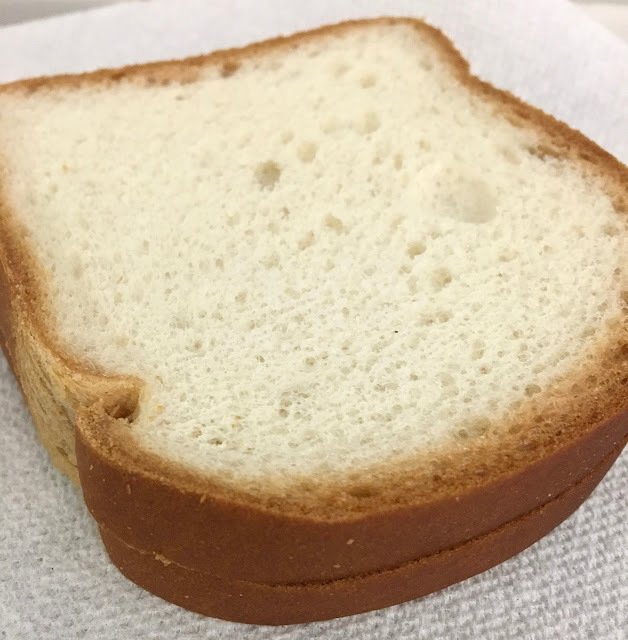 I am not a white bread person, but this white bread totally sparked nostalgia for white bread I ate as a kid because it's impossibly soft and light. This bread has a real "crusty" crust that resembles sandwich bread you find in grocery stores, which doesn't sound remarkable but it's downright revolutionary for a gluten-free bread. It acts and looks like regular bread. The flavor profile is light and classic, which makes me immediately think of the dainty sandwiches served at tea time. I especially liked this bread for nut butter sandwiches. The multigrain loaf is the heartier cousin of the white bread, but maintains the same incredible texture that is both soft and bready while being study enough to hold its own against any sandwich fillings. The bread is dotted with seeds, which are a nice contrast for the soft texture. The bread itself has more complex flavor, but is versatile enough to fit several flavor profiles. The crust is thick and hearty, achieving a texture I have not experienced with gluten-free bread. My favorite usage of this bread was for turkey sandwiches or avocado toast. It may seem weird that the highest compliment I pay to gluten-free bread is that it tastes like "real" bread, but that's the only way I can describe it after it easily passed my taste, function, and texture test with flying colors. Even better? You can eat it right out of the bag- no toasting required. 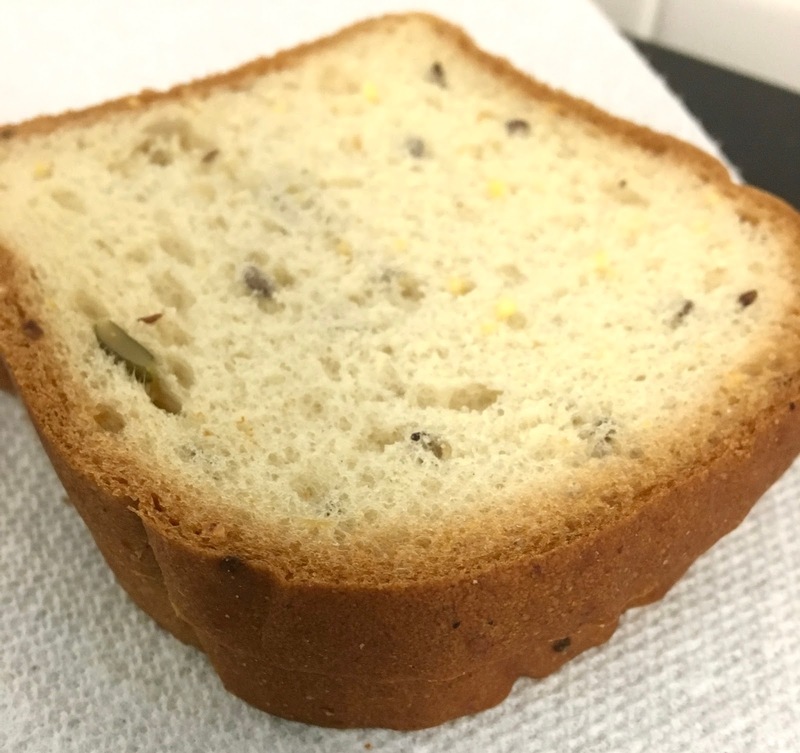 Gluten-free bread should be this easy and delicious, and I look forward to dedicating room in my freezer to always have a loaf on hand. La Brea Bakery might be a new name to me, but I will cheer them on in the crowded gluten-free sandwich bread race. I also hope they expand their line of gluten-free options to include baguettes, rolls, and flatbreads that they are famous for on the gluten-full side of their business. To see more about La Brea Bakery's gluten-free options, click here. You can find a store locator here (at last check it had not been launched). Disclaimer: This review is current to the original publication date. Updates will be noted. Ingredients and manufacturing processes can change without notice. Each product should be reviewed for individual nutritional needs. Feel free to to contact me with any questions or comments. La Brea sent me samples free of charge for review purposes, but the review is a reflection of my personal opinion.